McCurdy Bowling Centre is Kelowna's state of the art facility with 24 -10 pin lanes and 6 - 5 pin lanes. We host corporate, staff and of course Birthday Parties for all ages. We have a top of the line JBL sound system with a fantastic smoke and light show for our cosmic bowling. We have full food and beverage service on the lanes from our adjoining pub, 'Freddy's Brewpub'. Freddy's is Kelowna's only micro brewpub. We feature 5 premium hand-crafted beers from our own Mill Creek Brewery. Come down to McCurdy Bowling to have some good old family-and-friends fun! 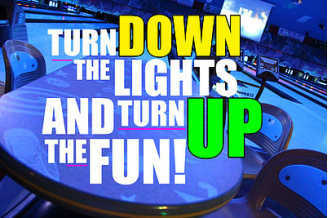 Friday & Saturday nights starting at 7 p.m. to enjoy some cosmic style bowling.